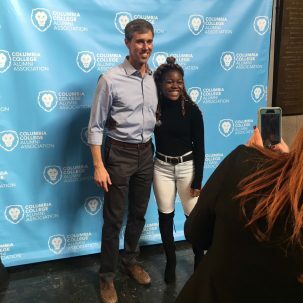 Former congressman Beto O’Rourke visited the Columbia University campus on Monday, February 4th, for a Town Hall with Columbia College students. 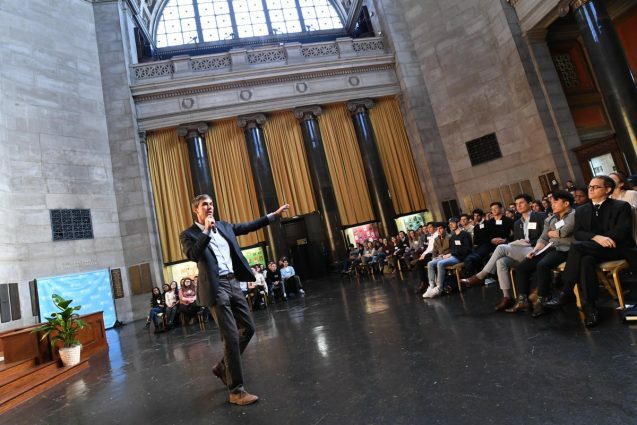 O’Rourke, a CC alumnus (class of ’95), addressed students’ questions ranging from a wall at the Mexican border and relations with Israel, to climate change. I’d love to hear your thoughts about how climate change can move beyond a partisan issue. I’m sure many of my classmates would agree, we get really tired of hearing “it’s your problem now, it’s the younger generations’ problem now.” As you’ve mentioned many times, it’s pressing and dire, so I implore you to let us know how you plan to make this an issue that’s at the forefront of your work, whether or not you run for a 2020 office. O’Rourke answered that, in order to really effect change on this issue, we must be able to tell the story in a way that everyone understands and relates to. 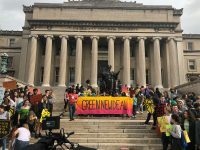 He referenced a 2018 article in The New York Times Magazine about one of the major bipartisan breakthroughs in environmental policy, the effective banning of ozone-destroying chlorofluorocarbons (CFCs) by the Reagan administration. 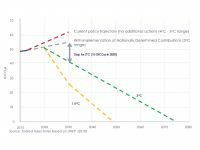 In 1987, Reagan signed the Montreal Protocol on Substances that Deplete the Ozone Layer. O’Rourke pointed out that this ozone “hole” was easy for people to picture. It was easy for people to imagine radiation coming through and causing skin cancer, cataracts, and other health problems in themselves and their children. Everyone, Republicans and Democrats alike, could see that the ban on CFCs was necessary to protect their families’ health. 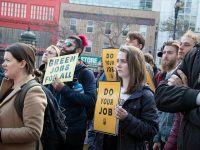 This made it easier to successfully finalize the protocol and get the Republican president’s signature—despite pushback from chemical corporations. 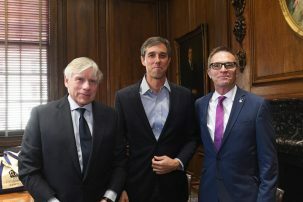 The major challenge we have been facing when it comes to the storytelling around climate change, said O’Rourke, is that people think the consequences of climate change might happen far enough in the future that it doesn’t matter, or that it won’t affect them or their families. “There’s a discount, economically and politically, on anything that’s decades down the road,” he pointed out. Tilting at windmills doesn’t accomplish anything!